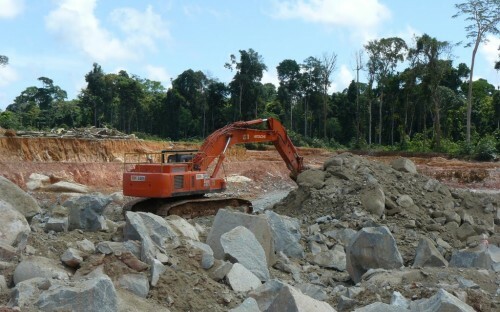 Mine preparation (Buchlearing and Overburden Removal is done to expose the granite stone so it can be blasted and mined. 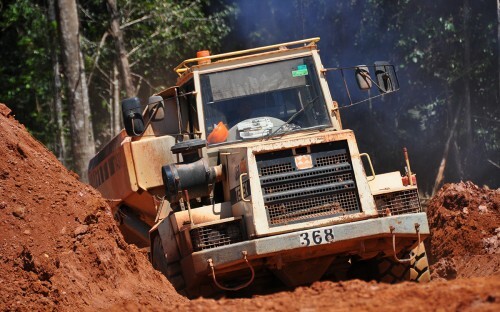 Bushclearing is done with specialized bulldozers and well trained operators. 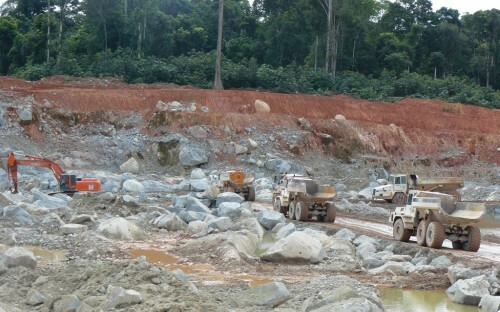 Blasted stone is transported to the stone crushers and after crushing the stone is transported to the stockpiles.